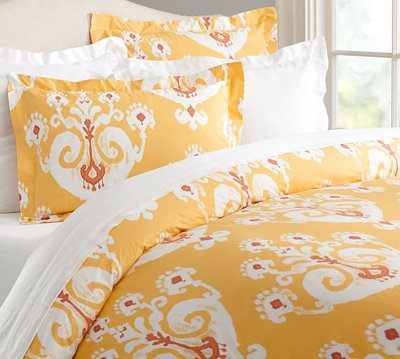 The Sloane Organic Duvet Cover & Sham features a traditional ikat medallion print that brings bright colors with a washed effect to the bedroom. $29.50-$129. Buy here.